We are seeking a full time Finance and Administrative Officer, based in Zanzibar, to support the financial, and administrative functions of a small but complex non-profit. We are seeking a full time Finance and Administrative Officer, based in Zanzibar, to support the financial, and administrative functions of a small but complex non-profit. This is a dynamic and challenging role requiring an individual with exceptional attention to detail, initiative and interest in supporting the improvement of quality health care for underserved communities. You are professional, motivated, and efficient team player. You are someone who is just as comfortable working independently in an office setting as you are traveling to the field to oversee administration and logistics for field trainings or community meetings. You excel at multitasking and balance your time to efficiently complete both routine duties and frequent adhoc tasks to support the Zanzibar, Tanzania, or Global teams. You appreciate the big picture and understand program goals and workplans, while skillfully tracking small details and helping the finance and program management teams think about ways to improve budget management, procurement, and compliance. You are able to train colleagues on accounting best practices and would be comfortable sitting in a conference room in Dar es Salaam or Stone Town representing D-tree to auditors. You are a motivated professional who is willing to wear multiple hats and do what it takes to make our office and administration systems function well. 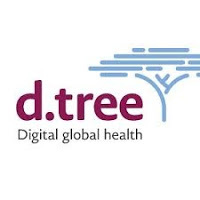 You will be an integral member of the expanding D-tree Tanzanian operations team, supporting project managers and other financial management staff members. You will be responsible for financial management of D-tree Zanzibar based programs, and donor and government compliance. You will assist the organization with annual and programmatic audits and reviews. You will ensure that D-tree staff follow organizational policies and procedures to ensure a timely month end close process is achieved every period. We are looking for a motivated, passionate individual who is willing to wear multiple hats and do what it takes to help our organization be successful. Accountability & Reliability – Takes ownership and responsibility for decisions, actions, and results; delivers on commitments. Initiative – Must display a sense of urgency to effectively and efficiently complete a varying workload in a timely manner. Can initiate actions independently, handles unexpected situations, and volunteers to assist others. Adaptability – Ability to adapt to change and respond to challenges positively. Able to manage a variety of different tasks as needed for the position. Can develop and / or learn new processes/systems quickly, and embraces the challenge of unfamiliar tasks. Problem Solving – Ability to proactively identify issues and take action by analyzing all the information skillfully to persistently purse positive outcomes. Uses sound judgment about when to take action and when to seek guidance. Compliance & Quality – Must ensure accuracy, meet established deadlines of work, produce a quality product and show commitment to continuous improvement efforts. Ability to learn, interpret, and comply with all organization policies and procedures. Collaborative – Brings a track record of working effectively with various and diverse individuals and groups, and a willingness to actively listen and invite different views and opinions across all levels of the institution to build alignment in support of a common goal.